Saturday 2nd March 2019 at 11.00 am. Category BM. 10.4 miles / 1936 ft. Minimum age 18 years on race day. Pre-entries £6 close on 28th February 2019. Entry on the day £8 will be available if race limit of 300 not reached (2017 saw 241 competitors take part; in 2018 a shortened poor weather course was used for 156 competitors). Entry Form and race details. Held under UKA rules and registered with the FRA. Map of the course available from Pete Bland Sports. Records: Men – R. Hope 1.06.10 (2013). Ladies – L. Pickles 1.24.32 (2013). Results will first be published on ukresults.net. The results will subsequently be published on the FRA website, and also on the Clayton website. Results from previous years. No team prizes. The Pete Bland Sports van will be in Barley Car Park. Soup, cakes, teas and coffees will be available before and after the race in the village hall. 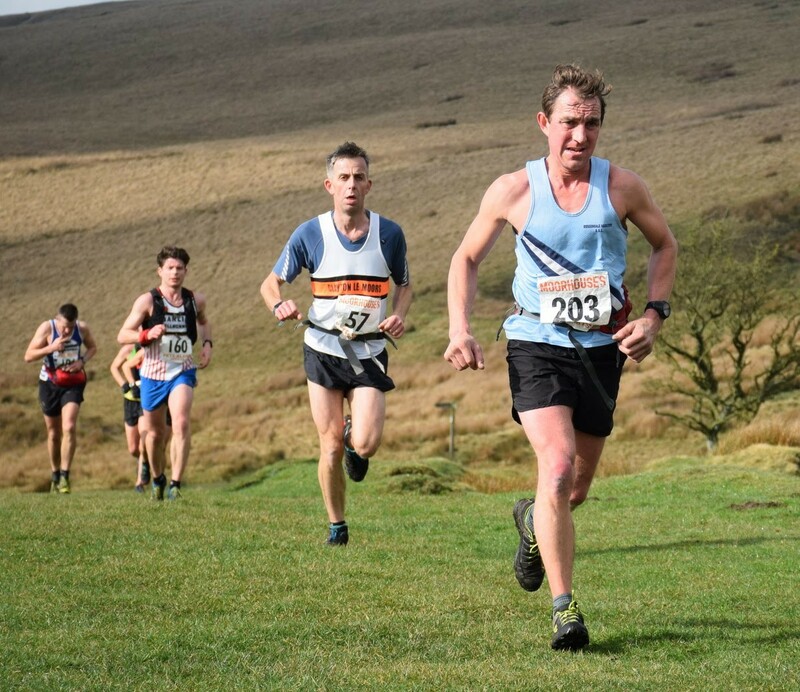 2019 Stan Bradshaw Pendle Round. Photo Woodentops.